Everything you need to know about growing mums in your garden. Dig a hole twice as wide as the pot, and place the plant in the hole so that the crown (where the roots meet the stems) are at ground level. Backfill the soil, water and add mulch to retain moisture and keep down weeds. 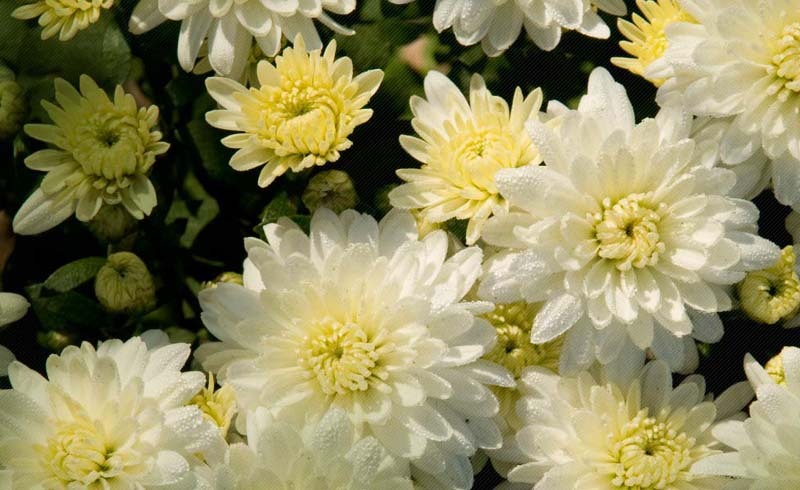 Chrysanthemums, called "hardy mums," are not super-heavy feeders, so add a little compost when you plant them, then feed with a general-purpose fertilizer in early summer. Water regularly. In order to encourage a plant that's less likely to flop over, trim off (called "pinching") the tips of your plants anytime from late spring to early July, taking off no more than half the total height. You can do this a few times a season, if you like, but not any later than mid-July or you’ll cut off the flower buds. Regardless, don’t expect all that pinching to produce the nicely-mounded plant you first brought home from the nursery; those are treated with growth regulators to produce a low, dense shape. If remembering to trim new growth seems like way too much work, leave your mums alone and let them sprawl. Do mums come back every year? Technically, mums are perennials, which means they do come back every year. If you plant mums in spring, the plants have time to settle in and will return in subsequent seasons. But here's the kicker: Most people plant mums in fall, which is too late in the season to get them established in time to survive the winter. How do you divide mums? If your plants are getting floppy, too big for the space, or you'd like to have another plant, use a hand trowel or spade to separate a piece of the plant with the roots, to replant elsewhere. Do this in early spring when you first see new growth. Should you cut off the dead flowers to help them bloom longer? This is called "deadheading," but, nope, mums bloom too late in the year so you won't prolong their season by removing spent flowers. Can you grow mums indoors? Mums need cold to initiate their flower buds, so you can't really enjoy them for years indoors like a houseplant. However, you can buy florist mums, which are grown in greenhouses and given as gift plants, much of the year. But don't count on these surviving being planted outdoors unless you live in a warm climate. GROWER TIP: "If you're planting mums in late summer or early fall, choose those in bud to give them the best chance of getting established before winter," says Nancy J. Ondra, author of Grasses: Versatile Partners for Uncommon Garden Design and The Perennial Care Manual. 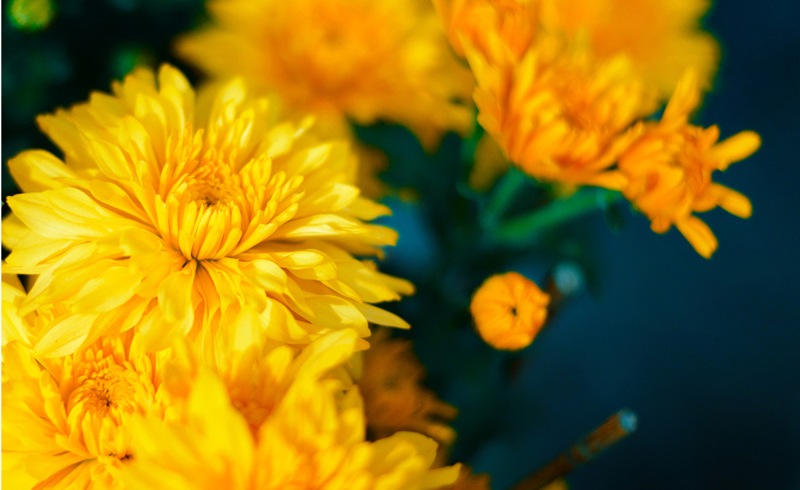 "Mums in full flower are putting energy into flowering, not into growing strong roots."